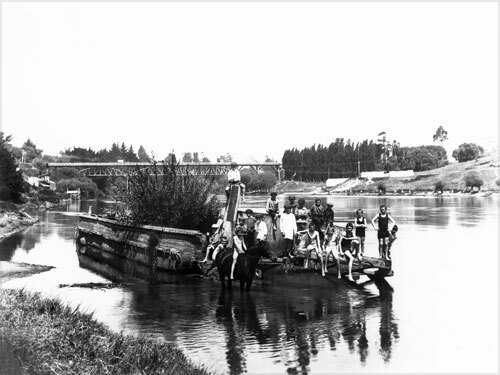 First used by British forces during the Waikato war, the paddle steamer Rangiriri brought the first Pākehā settlers to Hamilton in 1864. From 1889, after running aground, its wreck lay near the riverbank. For many decades thereafter it was used by children as a swimming platform.